The 2018 season is underway and we have some players to praise, some to keep a watchful eye on, and some to still anticipate their spring debuts. Also, Drew Pomeranz has his injury diagnosed via MRI, and discussions about Chris Sale’s refurbished workout program to induce longevity. The first ten games of the 2018 spring training had some expected and unexpected results for the Red Sox. 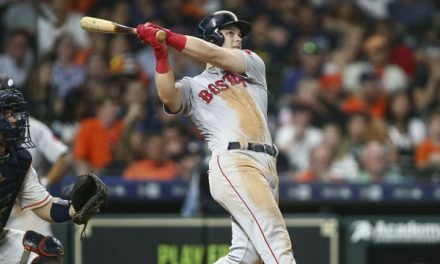 MVPs of spring training so far include Blake Swihart (21 AB, .429/.500/.810, 3 SO and 8 RBIs), Rusney Castillo who continues to put up attractive numbers from Pawtucket and Caguas (18 AB, .333/.400/.556, 3 SO and 4 RBIs) and Marcus Walden (5.0 IP, .143 against, 0.8 WHIP and 0.00 ERA). Players who haven’t been impressing as of yet include Mookie Betts (14 AB, .000, 5 SO, .176 OBP), Hector Velazquez (4.1 IP, 6.23 ERA, 2 SO, .316 against) and Deven Marrero (17 AB, .176, 8 SO, .263 OBP). Mookie Betts is starting to gain my attention, since he is known to rarely strikeout (11.5 K% since 2015). He is on pace to have the highest amount of strikeouts of his Spring Training career. This could be an indication of offensive players taking some time to warm up. It will be extremely shocking to see his Spring Training woes continue into the regular season. Also, Blake Swihart is really soaking in the spotlight and making Alex Cora’s job a whole lot harder by seeming to be his best choice at opening day catcher. His hitting has been outstanding as well as his plate discipline. He can make a serious case to be one of the two catchers when the regular season arrives. Pomeranz left his first Spring Training start against the Cardinals on Friday, March 2nd, due to forearm tightness. He received an MRI on Saturday afternoon and was diagnosed with a mild flexor strain of the forearm. Alex Cora told the press that there is no structural damage. However, Pomeranz will be shut down and re-evaluated on Tuesday. This makes the gap in the rotation much wider, as there are now two spots that need to be questioned. As I mentioned before, the Red Sox shouldn’t be looking at an outside source for a starting pitcher. That scenario may change now, depending on how this Pomeranz injury pans out. Not to be redundant, but the best free agent options for starting pitcher remain: Jake Arrieta, Alex Cobb and Lance Lynn. At this point, players who don’t have a job yet should be willing to take a one year deal and then try again next season. 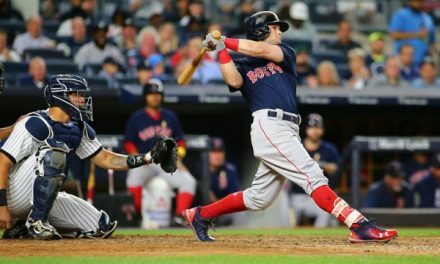 The Red Sox seem to be in a position to offer at least Lynn or Cobb a one year contract. Mind you, there are two holes in the regular season rotation. 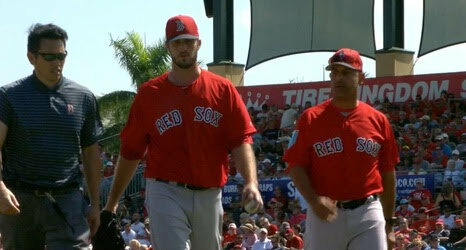 That’s banking on the hope that Price, Sale and Porcello will be healthy all year long. On top of all this, offering a one year contract to a starting pitcher presumably won’t put the ball club into the next luxury tax tier. If one more pitcher goes down, this rotation could fall apart quickly. Dave Dombrowski will likely strike while the iron is hot and there are still some options available. 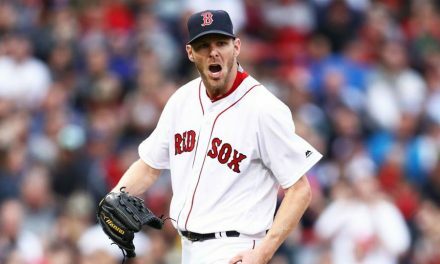 For those who don’t know, Chris Sale has been working with Alex Cora and pitching coach Dana LeVangie in regards to developing a workout regimen that won’t tire the 2017 Cy Young runner up too early. Longevity is Sale’s main goal this season and as it should be. He is known to be a stellar first half pitcher with down to earth numbers in the second half. Sale was involved in a variation of a simulated game at a back field behind JetBlue Park, in which he threw 52 pitches. Each inning had a mandated amount of pitches. He pitched 15 for the first, then 12, 12 and 13 for the subsequent innings. Of his 52 pitches, 35 were strikes and he induced five strikeouts (four of which were swinging). This could be the answer to Sale’s season long endurance issue. Everyone is itching to find out how this regimen pans out. Featured Photo Credit: Official Red Sox MLB Page. Can We Get Chris Sale a Win? 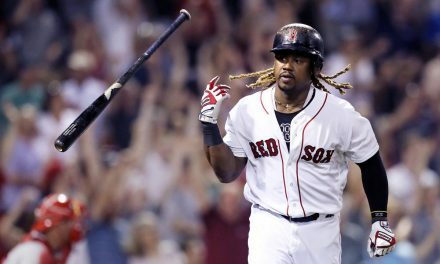 A Letter to Hanley Ramirez, From Red Sox Nation!